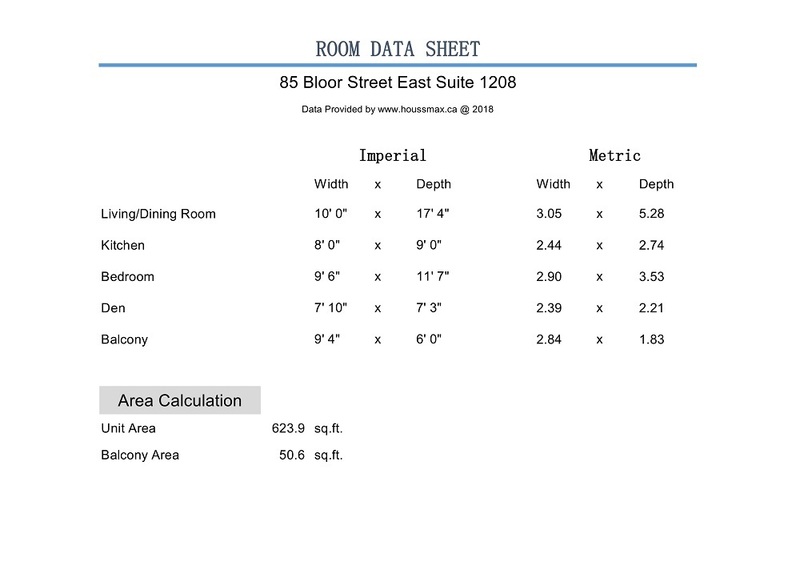 85 Bloor Street – Quick Overview. 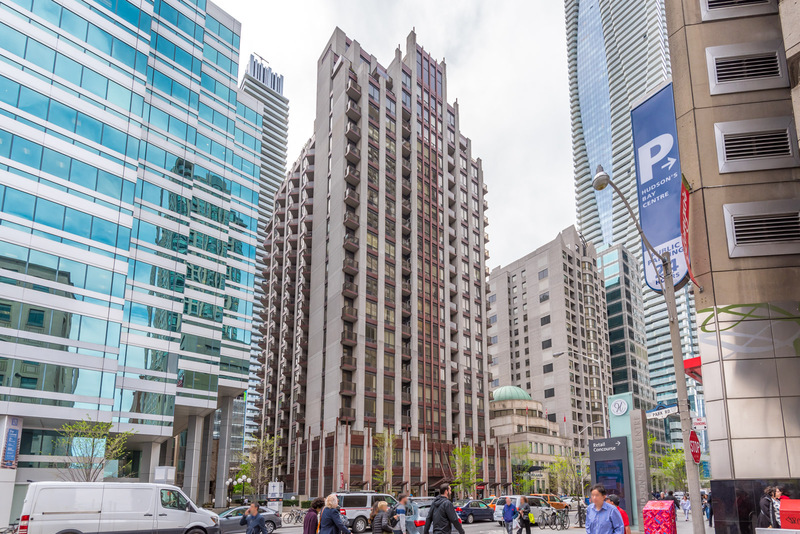 Rising 20 floors and composed of concrete, 85 Bloor is surrounded by the very best of Toronto. This includes the city’s hottest clubs, coolest cafes, trendiest restaurants, and greatest shopping destinations. 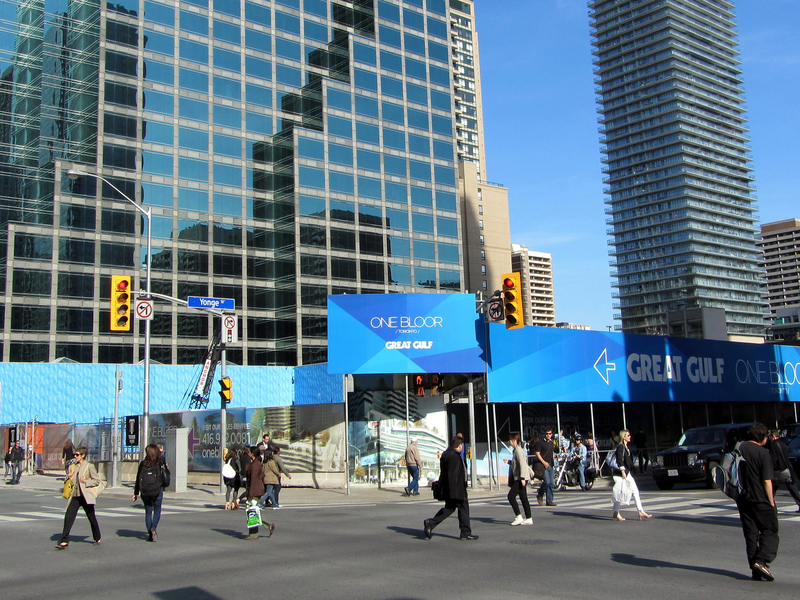 And with the Bloor-Yonge station right across the street, getting around has never been easier. 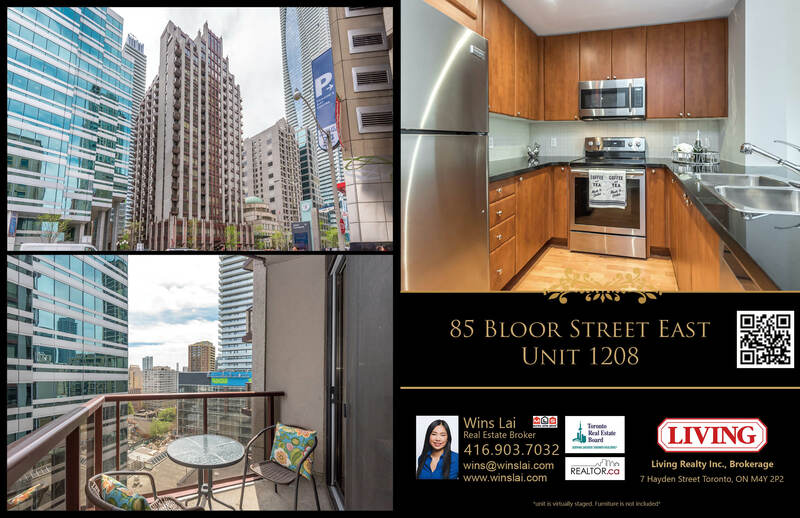 A quick glance at 85 Bloor Unit 1208. The unit consists of a master bedroom, a washroom, and a den large enough to house a double-bed. Some of its most striking features include 9-foot ceilings, track lighting, laminate floors, and luxurious gray walls. This virtually staged photo reveals the endless decor possibilities. Floor-to-ceiling windows ensure the living room is always well-lit, while a well-placed armchair offers the ideal spot for reading. 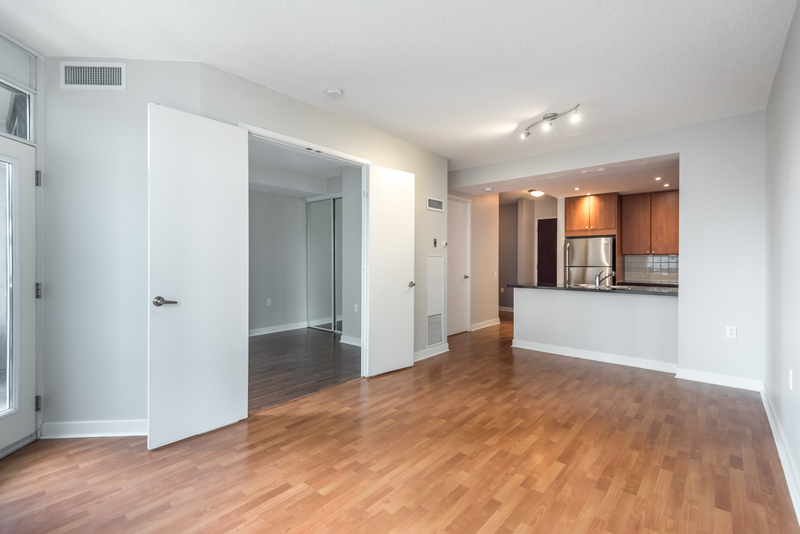 Besides improving flow from one room to another, the condo’s open-concept design also makes it seem more spacious. 85 Bloor’s kitchen mixes contemporary and classic elements. The kitchen blends wood, stainless steel, laminate and granite, creating an almost dazzling array of textures and colours. In addition to looking beautiful, the kitchen is also very functional. Granite counters prevent stains and laminate floors do a better job of resisting spills than traditional hardwood. Multiple cabinets and drawers offer plenty of storage for cookware, while pot-lights provide ample lighting. 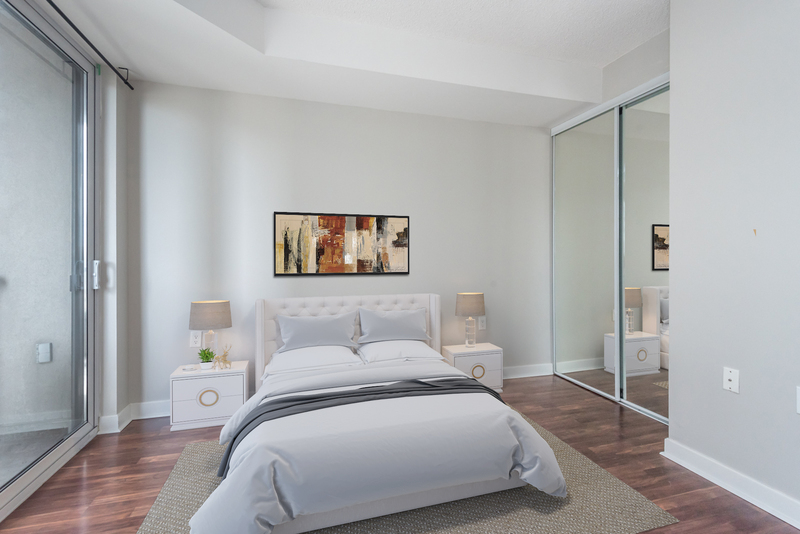 This virtually staged photo shows just how elegant the master bedroom can be. 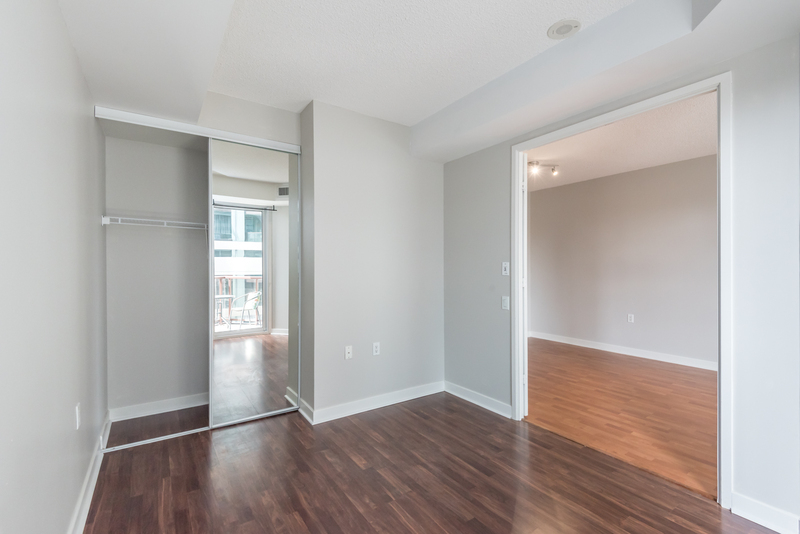 85 Bloor’s master bedroom is spacious in scope, calming in colour, and offers plenty of storage. A large mirrored closet has more than enough room for clothes, shoes and accessories. The giant glass doors on the left allow residents to walk directly out onto the balcony. 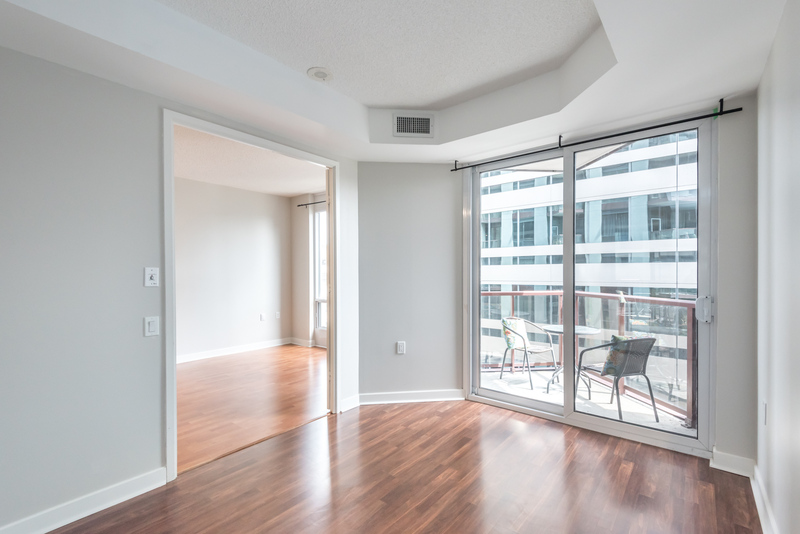 With so many windows and doors, residents can expect natural sunlight all year round. The washroom is no less stunning. 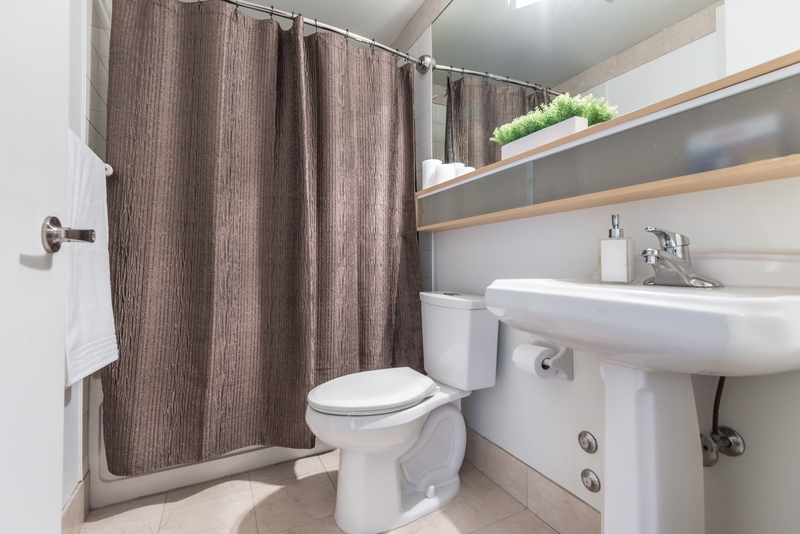 Clean, modern and beautiful, it comes with a bathtub, extra-long shelf, and wide mirror. The broad wooden shelf can be used either for storing items or for decor. 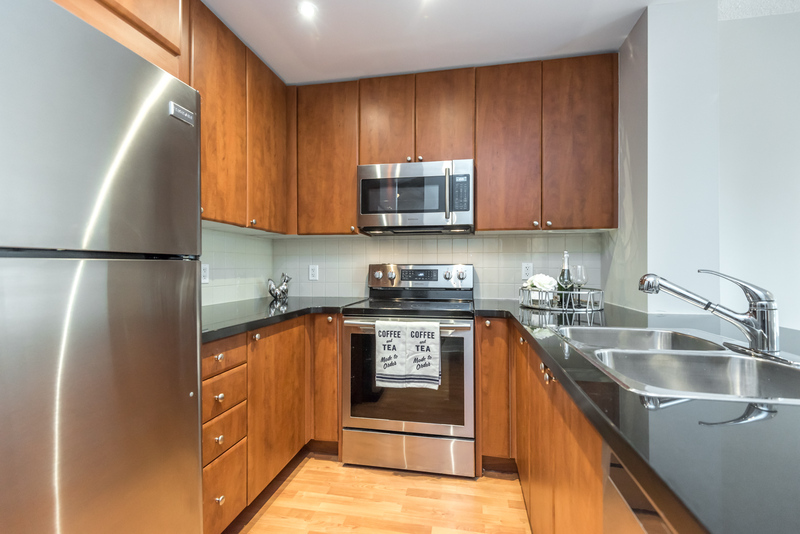 85 Bloor Street also includes a multi-purpose den. It can serve as storage, double as an office, or even function as a second bedroom. 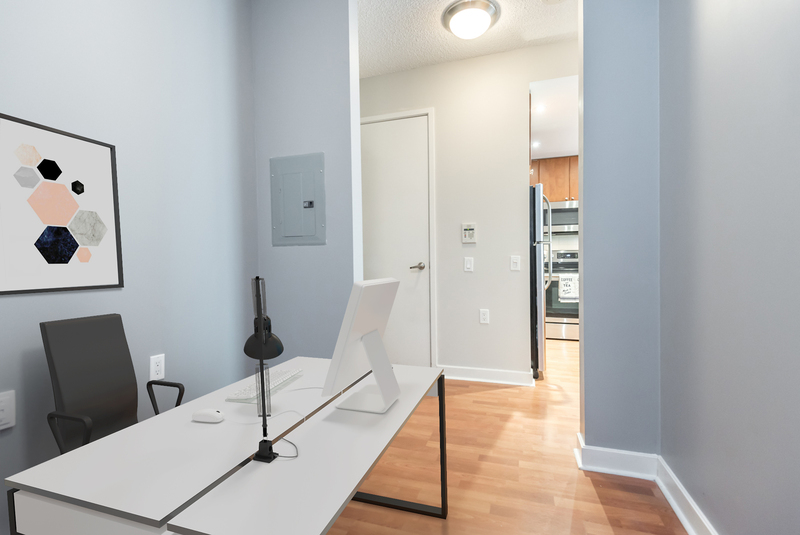 This artist’s rendering depicts the den as a classy office space. 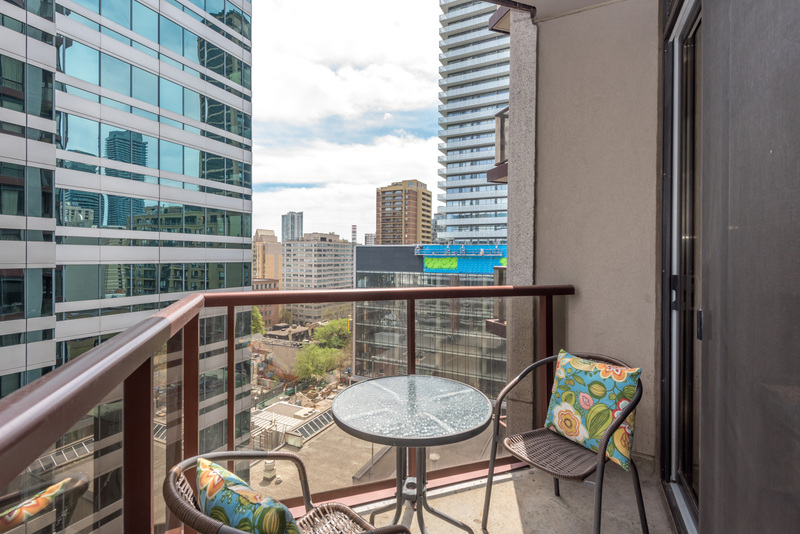 85 Bloor’s balcony is accessible via the living room or master bedroom. The view from inside is almost as impressive as the one from outside. 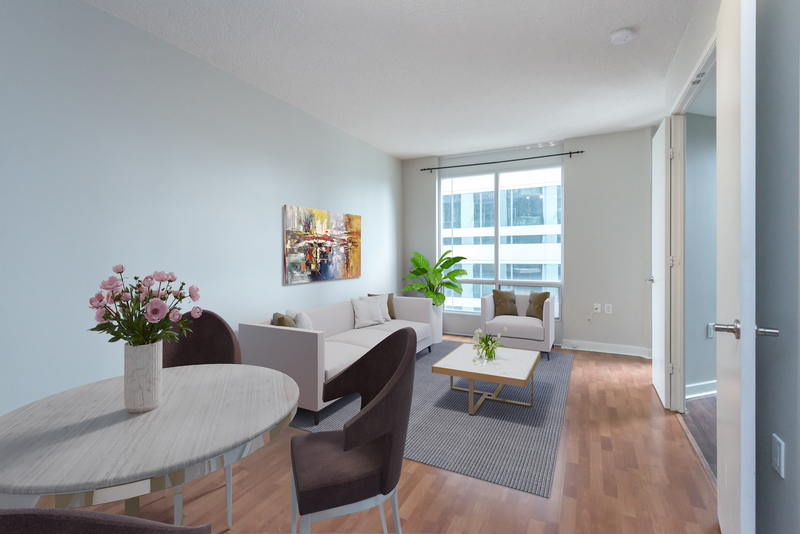 Residents can relax, take in the view, or engage in friendly conversation over drinks. A small table and few chairs is all it takes to create a patio-like atmosphere. 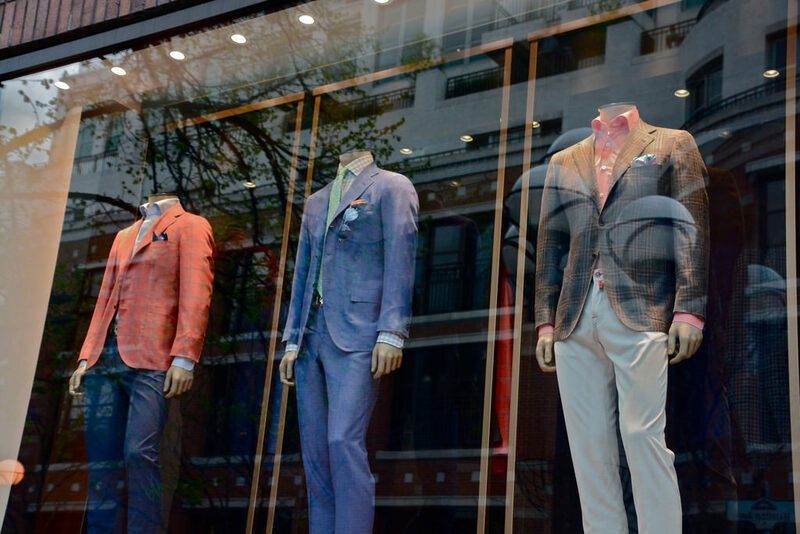 Nicknamed the “shopping capital of Canada,” Yonge and Bloor is home to the biggest names in designer fashion. You’ll find them all here, from Nordstrom Rack and Gucci to Louis Vuitton, Prada, Burberry and more. The Bay is literally across the street from 85 Bloor. Prefer a more luxurious shopping experience? 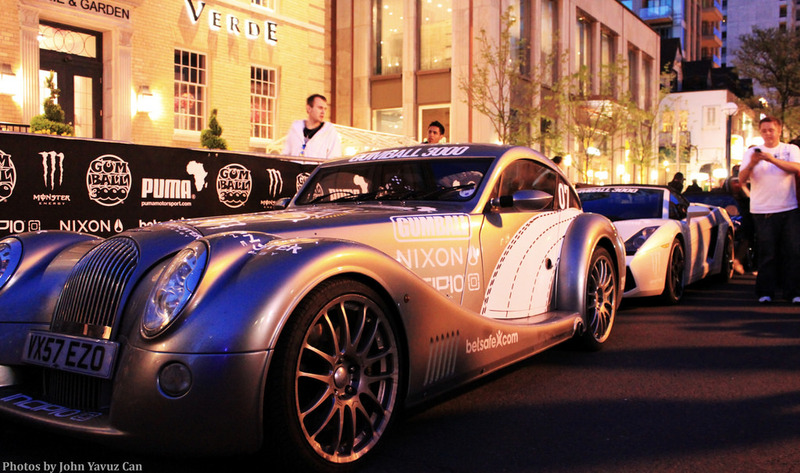 Head over to Bloor-Yorkville. Voted Canada’s #1 shopping destination by Reader’s Digest and USA Today, Yorkville is home to the biggest names in fashion, including Giorgio Armani, D&D, and Hugo Boss. You’ll also find several flagship stores, including Chanel, Hermes, and Holt Renfrew (with Jimmy Choo and Brunello Cucinelli on the way). While Yorkville is famous for retail, it boasts some of the best cafes, restaurants and bars in Toronto. 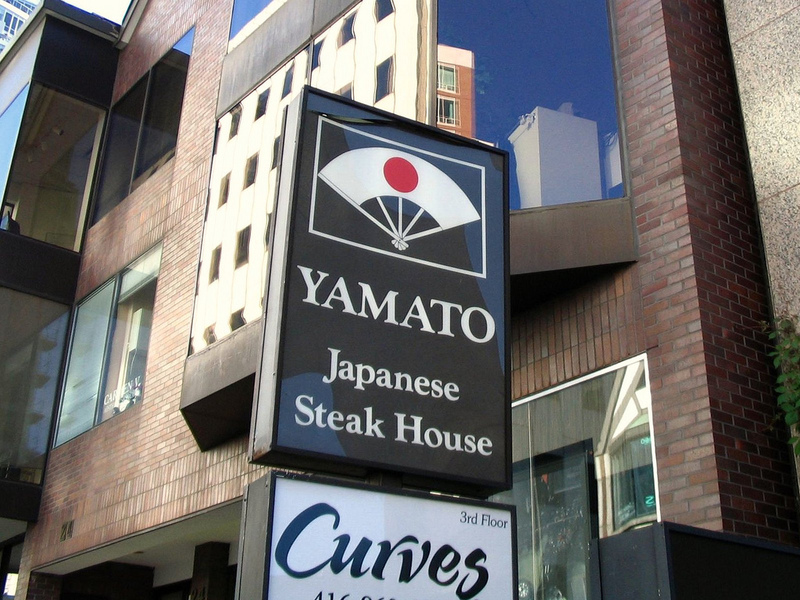 Popular eateries include STK, Chabrol, and Kasa Moto, as well as a wonderful assortment of bars and lounges. At 610 sq. 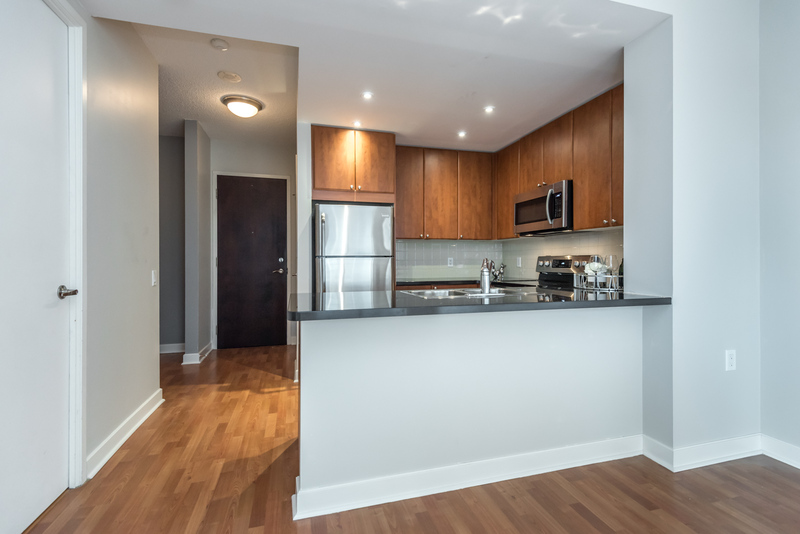 ft., 85 Bloor is the perfect size for a downtown condo. 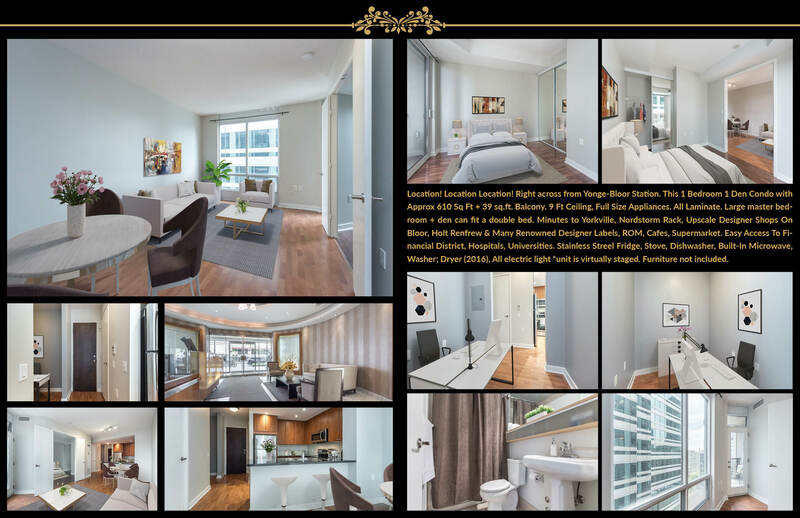 85 Bloor Street is the perfect blend of luxury and lifestyle. 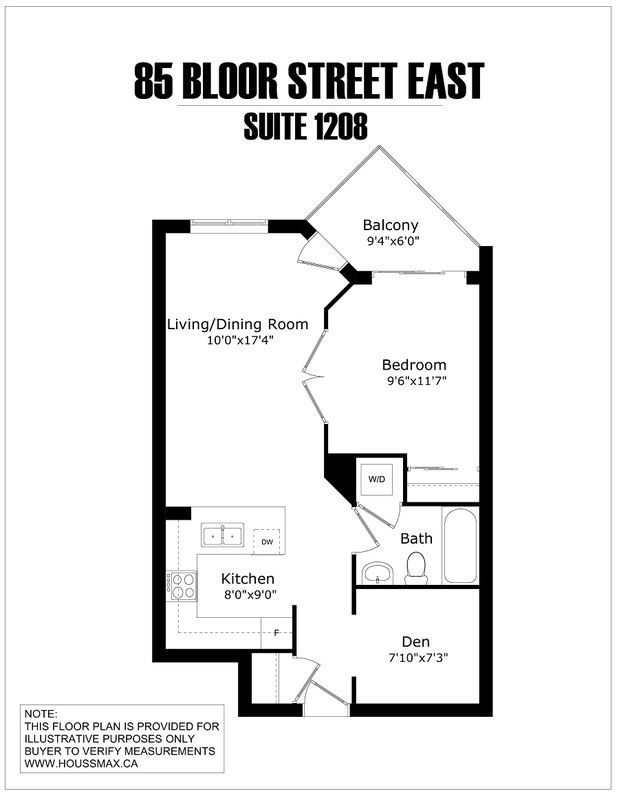 The 1 bedroom, 1 bath condo is gorgeous, spacious, and functional, with the den serving as a second bedroom, office or storage space. Inside, you’ll find world-class amenities ranging from an exercise room and sauna to a common rooftop deck. Outside, you’ll find the best shops, bars, restaurants, parks, events and entertainment in all of Toronto. 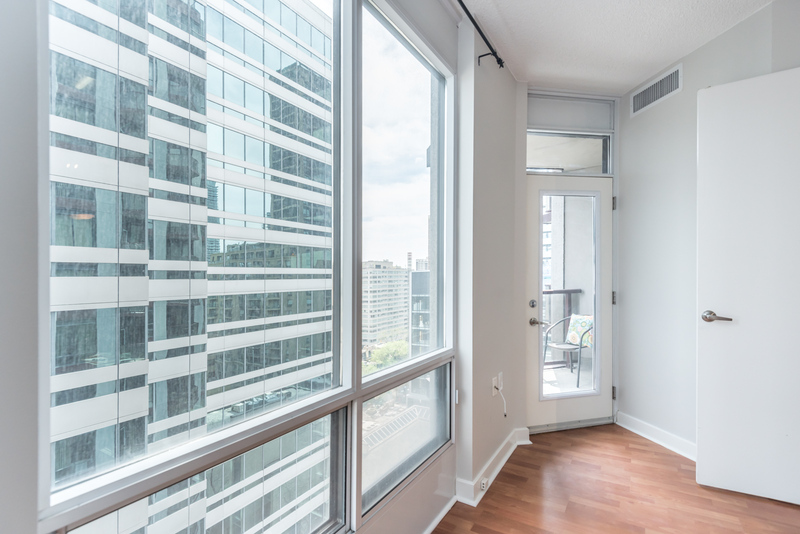 Want to know more about 85 Bloor? Contact me below for more information.